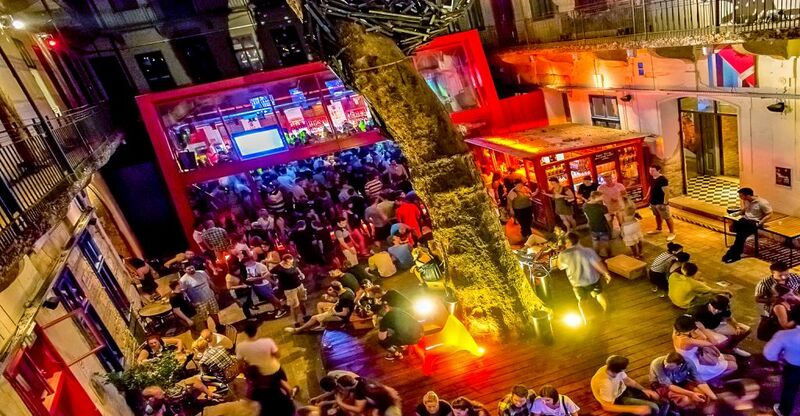 The first premium category ruin bar awaits with unforgettable adventures in Budapest downtown. It’s the biggest ruin bar in town with a capacity to host 1500 people. Whether you want to party hard, chat with your friends, drink fine coctails or eat freshly grilled goods, you won’t be disappointed! When you step in, you’re immediately in the middle of the party, but be aware that every step you take is guarded and watched by a gorilla – or at least a gorilla statue made by local artists, placed on a more than 300 years old tree in the middle of the courtyard. Doboz has multiple levels to provide the party for everyone, with residental DJs and themed dance rooms. If that’s not enough, your entertainment becomes fully provided by the latest music hits and trends, unique events and surprise guests. Don’t be afraid of their premium category drinks since they keep the prices as low as any other place in the area. You don’t have to worry about long queues either as they have four bars to avoid waiting in neverending lines. No dress codes, no rules, the main point is to enjoy yourself as you want! Your night will last longer if you try some mexican, american or hungarian favourites in the grill bar. One thing’s for sure, whatever you want your night to be, Doboz has got you covered!